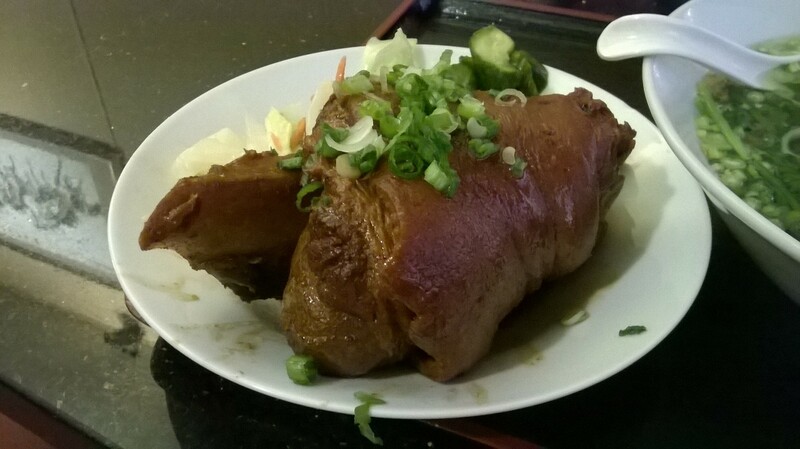 A neighbor was looking for a good Taiwanese restaurant in the area, and came across Ju Ju Shine on the internet. I looked up the place and noticed that it serves Pig’s Knuckles as one of their dishes. I have been wanting to eat that dish for quite a long time, but since there are not too many places that serve that dish, it has been years since I have eaten it. We arrived early on a Saturday evening so the place was still empty. It is a small restaurant with less than 10 tables. The owner, an older lady, much like a mom figure, came to take our order. 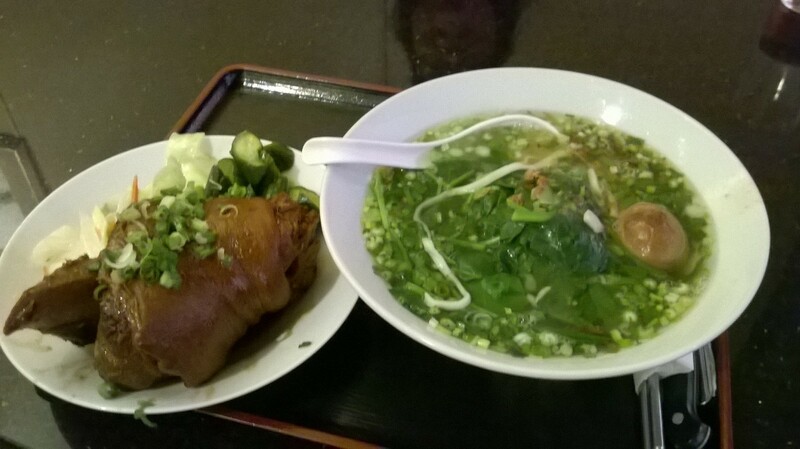 I chose the Pig’s Knuckle with Noodles Soup Combo. One can order it a la carte or with rice. 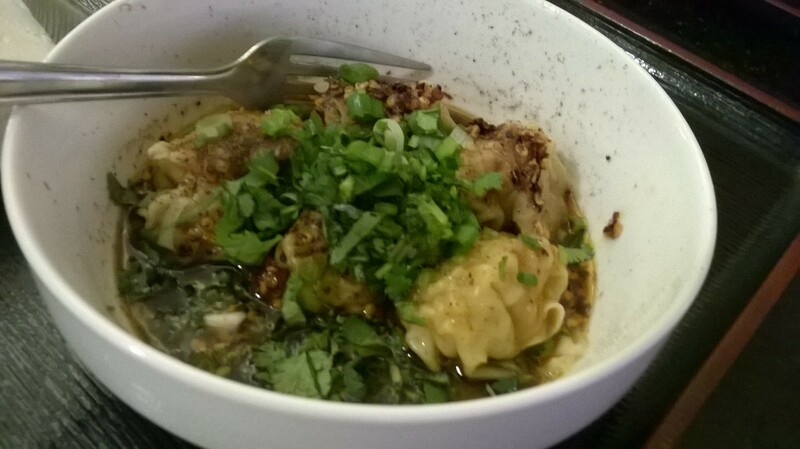 My companion ordered the Beef Noodle Soup, and we decided on a small plate of Meat Dumpling in Chile Oil to share. My Pig’s Knuckle came out first – it was almost the size of two of my fist! I was excited. I did not waste any time in diving right into the soft gelatinous skin of the knuckles (my favorite part). The taste was what I had anticipated – deep, flavorful but not too salty. Finally, my desire for the pig knuckle was fulfilled. The noodle soup that came with the combo was a good size, with lots of vegetables on top. While there was not a whole lot of flavor to the noodles, it was actually the way I preferred it to be. There were also some cucumbers and cabbage served on the side of the pig’s knuckle as well. I thought that was rather thoughtful of the owner/chef to balance the meal with the vegetables since a lot of other restaurants don’t. The small order of Meat Dumpling in Chilli Oil had 5 pieces to an order for $4. The chilli oil was not too hot, which was better for my stomach. 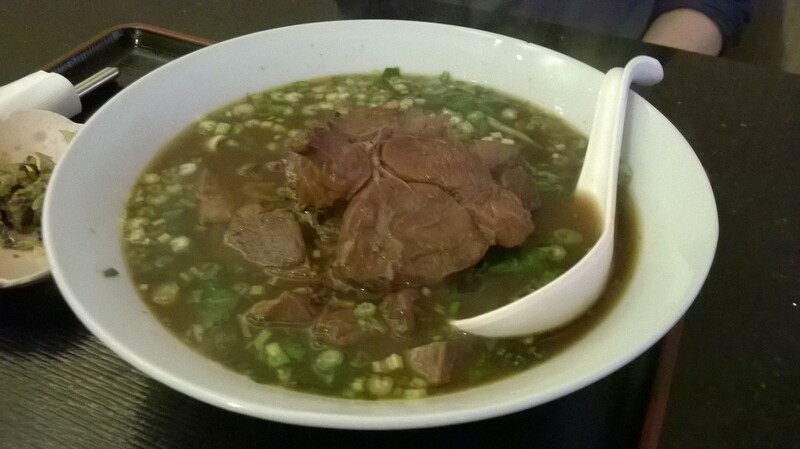 My friend commented that her Beef Noodle Soup was good, with the noodles being slightly chewy, much like hand pulled noodles, and uneven in sizes. 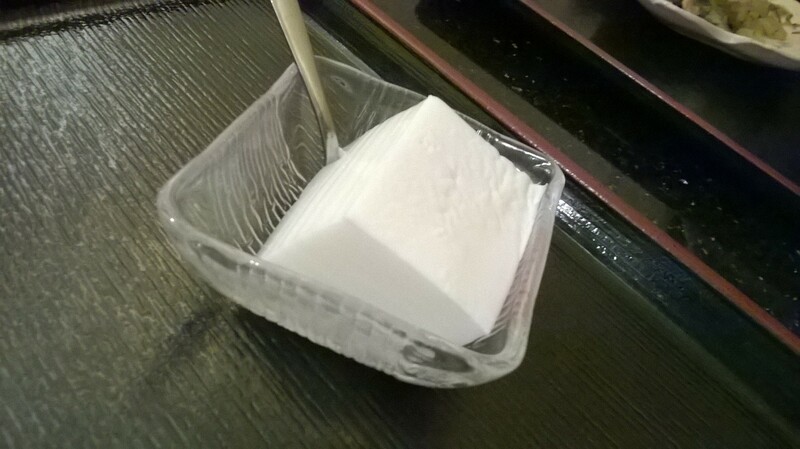 The meal ended with a complimentary serving of Almond Jello which I found to have just the right amount of sweetness. I will definitely be back really very soon to try the other dishes such as the Boiled Dumplings Combo, and the Braised Pork Rice Combo. All the dishes were priced around $8 – $10 (including tax), rather reasonable.